Would you like to visit the U.K. site or continue with Australia? Construction litigation is an area of law concerning legal disputes that arise out of building projects. Disputes can arise under both construction agreements and claims of injury or wrongful death caused by negligent behaviour. In both cases, construction litigation refers to civil lawsuits involving private parties and is governed by rules and burdens of proof that are distinct from those applicable to criminal prosecution. Contract disputes that lead to construction litigation sometimes involve simple matters, such as non-payment, work conditions or project deadlines, and often involve just two parties, the general contractor and a subcontractor. Other times, the contract disputes are complex and involve claims regarding the quality and scope of work performed or matters pertaining to clauses in loan agreements. These are likely to include additional parties, such as suppliers and lenders and can produce massive eDiscovery’s that require assistance to process, cull and review using some of the latest tools the industry has to offer and this is where Sky Discovery can add value. Sky Discovery specialises in collecting and transferring documents from Aconex. Aconex is an on-line document management platform utilised in large scale construction projects. Retaining information varying from email correspondence, variation requests, site orders and engineering plans/drawings, Sky Discovery can work with you to retain all documents and associated information from Aconex and port to your document review system. In construction, even the best laid theoretical plans will require alteration in the face of the practical reality of construction. In construction changes to plans are raised, reviewed, approved via standardised common construction workflow processes. These include construction change orders, variation requests, requests for information and site instructions. Sky Discovery can assist in the automated collation of this information and the presentation of the information in a single system allowing you to assess not only the document, but the associated change orders, variation requests, site instructions all at the same time. Construction disputes can arise due to technical issues that require each party to hire an expert to brief and prepare a report on the technical points in dispute. A conclave or hot tub is a meeting where the designated experts can get together to debate, and agree/disagree on the points of contention before preparing a joint expert report. Ensuring your expert has all the information readily accessible at hand will provide your expert the best opportunity to recall pertinent documents when disputing points and ultimately your client with the best outcomes from the conclave. Sky Discovery will work with your experts to ensure that your experts have their evidence at hand, but able to easily search and access all documents available to them in the matter. Relativity can view over 400 native file types including AutoCAD and numerous other construction related software files. Construction cases typically involve large files taking up a huge number of gigabytes of storage. Historically multiple copies of data would be spread across multiple software platforms, one or processing and one for review. By utilising Processing and Review all within Relativity this greatly reduces the time and space required on a matter. Multiple versions of documents are frequently distributed across an organisation. Near Duplicate Detection (NDD) identifies all similar documents across the dataset and allows you to review them together. This feature can massively speed up review for datasets with large amounts of near duplicates. Construction matters typically contain industry terminology and project codenames that would not normally be apparent to the legal team performing the review. Identifying the correct key words to search on is a critical part of any case. Through keyword expansion, text analytics gives you investigative power to widen searches and pull in more relevant documents sooner in the review process by teasing relevant terms out of key documents. Search on keywords of your choice from any document, and from those terms text analytics can provide a list of terms that are conceptually related based on the unique language in your data set. By finding related terms from other documents, you can discover unexpected or hidden words, such as project code names and company or industry jargon, and ensure you aren’t overlooking anything important to your case. Text analytics helps get the most important groups of documents to review teams as soon as possible and batch documents by conceptual similarity for faster, more consistent coding. With a feature called clustering, you can organize and prioritize your review much earlier in a case. 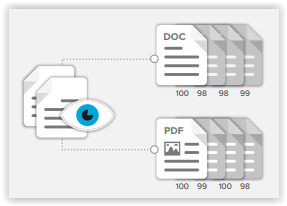 Clustering automatically identifies and groups documents with similar concepts. It labels those groups by the most prevalent ideas in each one and visually represents how the groups relate to one another. Unlike a concept search, the user provides no input as to what they’re looking for—there’s no need for subject matter experts to identify example documents. Computer-assisted review helps you accelerate your review process by amplifying your team’s efforts across any substantial document set. 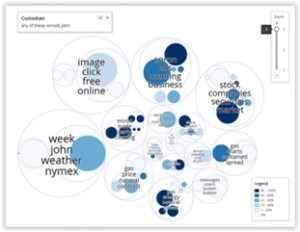 Text analytics (categorization) is one of the three key elements of computer-assisted review, which also includes statistical validation and, most importantly, actual humans. In computer-assisted review, senior reviewers code documents in the system in the form of seed sets, and the system applies their decisions to the rest of the document universe through an iterative workflow managed by the review team. The end result is a less costly and tedious eDiscovery experience. 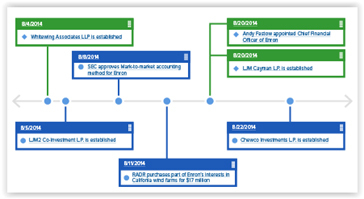 Let our project managers help you build your case by connecting facts and issues to documents, then present them all within a customizable timeline within the software using the fact manager tool. Fact Manager lets you present alternative theories about the case, and organise material into an organised chronology to be presented by your barristers. Construction matters typically have a complicated chain of events which can be built and displayed graphically inside Fact Manager. Relativity supports online mobile use and binders lets you quickly and easily share your most important documents. You can search, annotate, and prepare documents on your computer and tablet – and even offline on your iPad. Construction matters frequently rely heavily on experts who need access to key documents. Historically printsets would need to be assembled and shipped requiring up to a week turnaround time. This feature allows instant, extremely user friendly yet secure document access to experts globally. There’s more to a litigation than discovery. During the witness statement/evidence phase of your dispute, Sky can assist by preparing hyperlinked expert reports/witness statements ensuring single click access to any supporting documentation. If your matter goes the distance, Sky Discovery Consultants have the prerquisite court experience to assist with all the logistics ensuring you can focus on the dispute at hand. Whether a traditional hearing or an eCourt, Sky Discovery can provide guidance and instruction on the entire process: from courtbook preparation to hardware requirements to setting up a conference room. Sky Discovery is a litigation support provider specialising in premium project management and consulting expertise, electronic discovery processing and Relativity document review software. As a Relativity Premium Hosting partner we offer the full suite of kCura products and solutions to the Australian market.